Not too long after I got involved in the KnittingHelp.com forum, I read about a problem one of the readers was having with a particular crochet stitch. Merryknitter had just learned how to crochet and she was taking on a rather ambitious project. Isn't that just the cutest baby blanket? Can you believe that Merry just learned to crochet a few short months ago? She got this pattern from the Crochet! May 2008 magazine. I think she did a wonderful job and I just know that the baby who receives this will be warm and cozy, and cute as a button! I used this same stitch in one of my election day projects since I liked it so much. The scarf I made turned out pretty funky looking, I thought. It was mailed off a few weeks ago with the others I had made for the Special Olympics. Merry recently asked a question about Tunisian Crochet, so that will be my next little project to work on. Thanks, Merry, for allowing me to share your darling blanket with my readers! Please note that this is not my pattern and I cannot send copies of it. If you would like to make this blanket, I would suggest Googling Crochet! Magazine May 2008 to see if you can purchase the issue from someone. If you are lucky enough to have a friend who owns this particular issue, you could ask to borrow it. Please respect any copyright this pattern might have. You are something else, Mary Grace! Thanks for all the kind things you said about me! You are a great teacher, my friend! I am just having so much fun learning all kinds of new things...whether it's with crochet or knitting...who would have thought I would be doing this...but I'm having so much fun...making new friends all over the world! I'm giving my Noah's Ark Blanket to my friend this Thursday...can't wait! Her baby is due the end of January! Gosh! I feel famous now...LOL! Obviously you're a great teacher, Mary Grace - and Merry - your blanket is absolutely adorable - that "any time now" little muffin is going to be snuggled in total CUTENESS soon! Thanks to Pat, I paid a visit to your blog and am very happy! I need to do more crocheting and you have the inspiration for me. That Noah's Ark blanket is just adorable! I really like your election day project. I saw the pattern for this Noah's Ark baby afghan in my issue of Crochet! magazine, which I subscribe to. I absolutely love how it turned out! What a BEAUTIFUL job and well done for such a short time knowing how to crochet! It's something to definitely be proud of! I'm in the middle of making this Grandma Moses-ish blanket for my grndson .. I've made all the "add-ons" and am making the ocean and sky part (background) upon which to sew the ark, etc. The Noah's Ark blanket is wonderful. I have been looking for something special to make for my friend expecting her first baby. I was wondering if possible if I could get the pattern for this blanket. I have been unable to get a copy of Crochet magazine. Thanks for your time. Job well done. Dear Frankie, and anyone else interested in this pattern: I would love to provide it for your stitching pleasure, and if it were my own original pattern, I would be happy to do that. However, it is not mine and in fact I do not even have a copy of it. You can probably get in touch with Crochet magazine and ask for a copy from them, or perhaps find this particular issue of the magazine for sale on ebay or elsewhere online. Your local library may even be able to get this issue for you to use. Frankie, I would have replied to you directly but you commented anonymously which prevents a reply. So sorry I cannot help you further. Good luck in your search. Love your Noah Ark blanket. I am in the process of making it & having lots of fun. I liked the rainbow you added. Do you have a pattern you can send me for the rainbow? It's very easy...I used the colors that I was working with on my Noah's Ark Blanket. I believe that pattern is available for download, if you can't find a copy of Crochet Magazine. 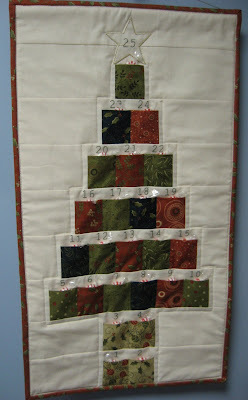 For your information: you can download a copy of this pattern at Annie's Attic, if you like! Hi, does anyone have the pattern for this that they could send me? I've been looking for it for ages! Rosemary, please read the last paragraph of this post and previous comments. This pattern can be purchased here: http://www.anniescatalog.com/detail.html?prod_id=23767 Please don't ask anyone to make you a copy and send it to you as that is illegal. 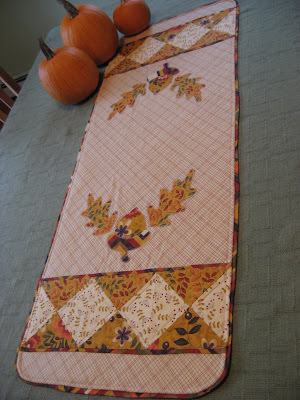 This pattern was created by Michele Wilcox and she offers it for sale for those who want to make it.